My baby is turning four! I cannot believe it! He's going to have his first friends only party! He is beyond excited to have his four best friends over! 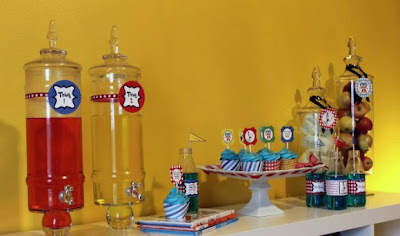 This kid is crazy about The Cat in the Hat, so he's going to have a Dr Seuss party - problem is I'm a huge procrastinator and I only have 11 days to get this whole party put together! 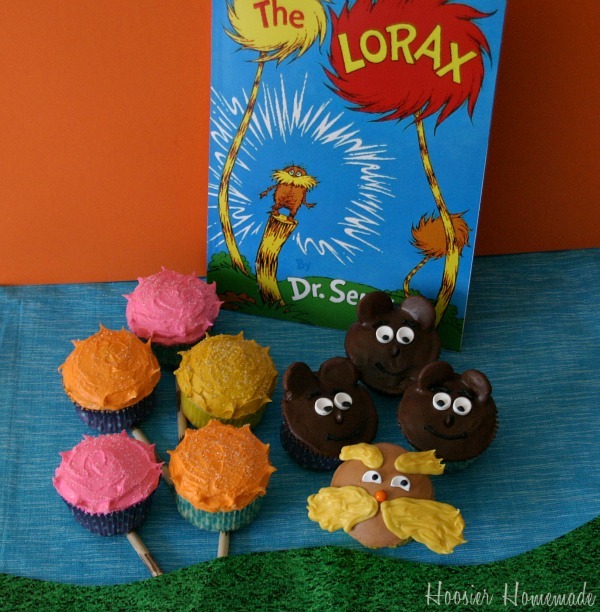 First thing....cake ideas. I need something that I can make. I'm leaning towards cupcakes...just because it'll be a bunch of 4 and 5 year olds eating them, and I think it'll be easier. I love these cotton candy cupcakes from Serendipity Soiree. I'm thinking I could make these cupcake liners pretty easy. 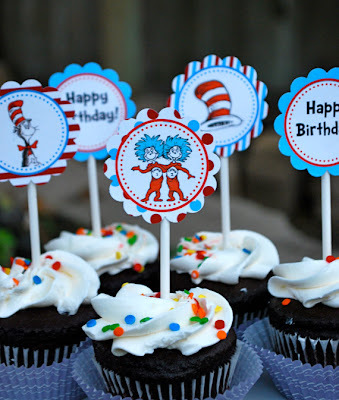 I also like this idea of some easy cupcake toppers, these cute designs are from I Heart Cupcakes Too. The Lorax cupcakes from Hoosier Homemade look easy enough for me to make! I'm also a huge fan of free printables. 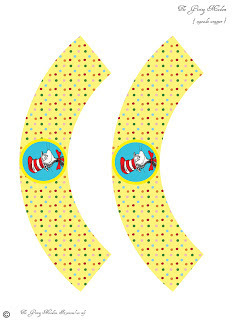 I think these are what is really going to make this party come together. I really, really love these free prints from The Crafty Woman! These would be perfect framed sitting on the table or to go in the goodie bags. 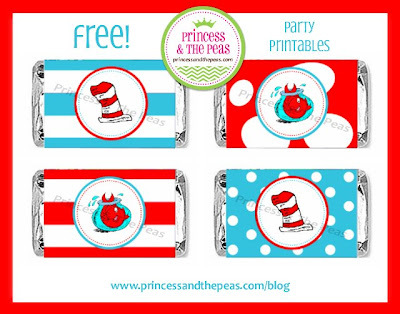 Candy Bar wrappers from Princess & The Peas! These would also be perfect for goodie bags! I really love that there are so many creative people out there willing to share their work with craft-less people like myself! I'm excited to get started with all the work! 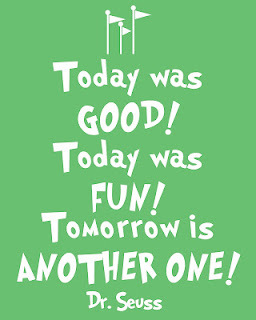 I'll have more on Wednesday about what I've bought so far for the party! 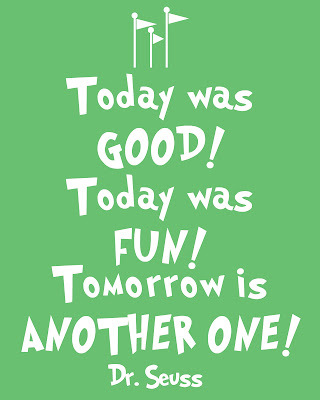 Make sure and follow me on Dr. Seuss Pinterest board for all of the great ideas I've found! 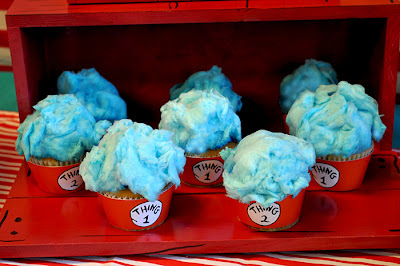 I LOVE the cotton candy on the cupcakes, what a great idea! !